KINGSLEY HYGRO HAND TOWEL. This bath rug is both luxurious and absorbent with a deep cotton pile and classic design detail. Machine washable. 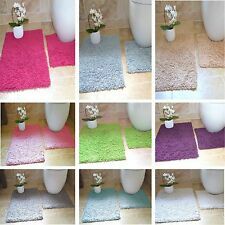 Bath mat size L86, W53cm. Product specification. View our full range of Bathroom & Bathing Aids. A safety essential for the bathroom. This extra-long bath mat is made from soft natural rubber and provides secure anti-slip protection for almost the full length of the bath. 1 x Thick Soft Bath Mat in Aqua Blue / Turquoise under the Trendy Urban Life range for Country Club. Modern Bath and Shower Mat. Brightens up and updates your bathroom in an instant. Really High Quality mat at a great price. Klassischer Badvorleger in der zeitlosen Farbe rot. Schlicht verziert mit einer Jacquard-Bordüre rundum. Auf dem PREMIUM Badevorleger von Betz stehen Sie stets weich, komfortabel und trocken. PREMIUM Badevorleger von Betz. Wamsutta® Perfect Soft MICRO COTTON® Bath Mat in Yellow 21" x 32"
Crafted of high-quality, ring spun cotton, this durable and ultra-absorbent bath mat features an extra-soft, plush feel. 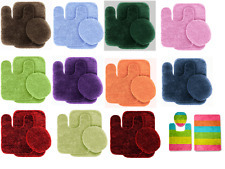 Create a spa-like look and feel in your bathroom with the Wamsutta Perfect Soft MICRO COTTON Bath Mat. 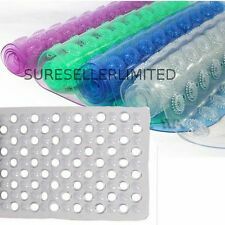 1 Pc Toilet lid cover (18" x 18") 45 cm x 45 cm. 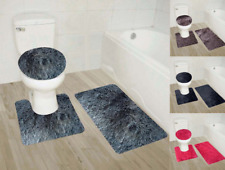 Enhance any bathroom with this attractive, coordinated look, non slip rubber backing bath mat rug set. Design: Circles. 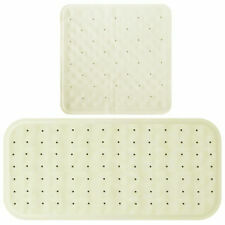 1 Pc Bath mat (18" x 30") 45 cm x 75 cm. Toilet Cover Size: approx. Easy to clean, can be directly washed by washing machine or hands, not shed and fade. Using PVC anti-skid bottom material, anti-skid, wear-resistant, and not hurt the floor.